Killeen Police Focusing on Extra Patrols this Labor Day Holiday. The Killeen Police Department will have extra patrols starting on Friday, September 1, 2017, throughout the Labor Day weekend focusing on impaired drivers. The extra patrols are a result of the department’s participation in a Texas Department of Transportation funded grant known as the Selective Traffic Enforcement Program (STEP). Officers working with the STEP program will focus on locating and arresting impaired or intoxicated drivers who are presenting a hazardous risk. It is the goal of this program to prevent potential injuries and loss of life to local drivers and travelers. If you see a driver you believe to be impaired or driving recklessly, please call 911 with the vehicle’s description, direction of travel and license plate number, if possible. The Killeen Police Department would like to remind all motorists about the new school year. With a new school year in session, motorists will be seeing more children walking to and from school. The Killeen Police Department is asking all motorists to be mindful of the extra pedestrians and the school zones will be in effect and will be enforced. Remember the speed limits will be decreased in a designated school zone; the majority of school zones begin at 6:30.a.m and are usually 20 mph. Children are known to dart out into the roadway and it is asked that you give extra attention when driving. Talking on a cell phone while operating a motor vehicle within a designated school zone, unless the vehicle is stopped or the device is used with a hands free device or to make an emergency call is against the law. School buses will be active in the city before and after school hours. When a school bus is stopped with red lights flashing, you must stop. Vehicles traveling on the opposite side of a divided highway do not have to stop. Effective September 1, 2017, it is against the law to use of a wireless communication device to view, send or compose an electronic message or engage other application software while operating a motor vehicle. Drive safely and do not text and drive. Killeen Police responded to a 911 call in reference to a shooting victim in the 4400 block of Mattie Drive on Monday, August 21, 2017. Upon the officers’ arrival, they located female victim with a gunshot wound. She was immediately transported to Metroplex Hospital in stable condition and subsequently transported to Baylor Scott & White Hospital. It was later determined that there was a second gunshot victim, a male who was transported to Metroplex Hospital in stable condition. The preliminary investigation revealed that there was a group of people in the parking lot and were involved in a verbal disturbance when shots were fired. Through the investigation detectives were able to determine the identity of the suspect in this case. The case was reviewed by the Bell County District Attorney’s Office and two complaints were issued charging 20 year-old Derrick Lamont Smith Jr. with Aggravated Assault with a Deadly Weapon and Justice of the Peace Bill Cooke issued two warrants for his arrest. On Thursday, August 24, 2017, Officers subsequently located and arrested him at 309 Priest Drive. Smith was transported and booked into the Killeen City Jail. Killeen Police investigate a Murder on Allegany Drive. Officers were dispatched to a 911 call in reference to a shooting victim in the 5300 block of Allegany Drive on Friday, August 25, 2017, at 4:41 a.m. Upon the officers’ arrival, they located a black male inside the residence with a gunshot wound. He was immediately transported to the Carl R. Darnall Army Medical Center in critical condition. The preliminary investigation revealed that an unknown vehicle drove by the residence and fired several shots into the home, striking the victim. Family members immediately called 911 advising them the victim had been shot. No other injuries were reported. The victim, 34 year-old Glenroy Joseph Smith Jr., succumbed to his injuries and was pronounced deceased by Justice of the Peace Bill Cooke at 6:49 a.m. An autopsy has been ordered to be performed at the Southwestern Institute of Forensic Sciences in Dallas. Detectives are asking anyone who has information about this Murder, to contact Crime Stoppers at 254-526-TIPS (8477) or go online at www.bellcountycrimestoppers.com. You can also download the P3Tips App for IOS and Android and give an anonymous tip. All information given is anonymous and confidential, and if your tip leads to the arrest of the person responsible for this Murder, you could be eligible for reward up to $1,000 in cash. On Tuesday, October 3, 2017, neighborhoods throughout Killeen are being invited to join forces with thousands of communities nationwide for the “34th Annual National Night Out” (NNO) crime and drug prevention event. From 6 p.m. to 9 p.m. on October 3rd, residents in neighborhoods throughout Killeen and across the nation are asked to lock their doors, turn on outside lights and spend the evening outside with neighbors and police. Neighborhoods are encouraged to host a variety of events such as block parties, cookouts, contests, and youth activities. Call and register your neighborhood so they will get a visit from the police department, fire department and McGruff the Crime Dog. “The National Night Out program is an outstanding campaign to help build neighborhood unity and strengthen police-community partnerships. On October 3rd, we invite citizens of Killeen and neighborhoods nationwide to join forces with us to give Crime & Drugs a Going Away Party.” It’s also a chance to have a really good time! The shooting victim from the Homicide in the 1100 block of Bacon Ranch Road been identified as 29 year-old Brandi Jo Cadena. Killeen Police investigate Homicide on Bacon Ranch. Officers were dispatched to the 1100 block of Bacon Ranch Road at 9:45 a.m. on Saturday, August 19, 2017, after receiving a 911 call in reference to a gunshot victim. Upon the officers’ arrival they located a female inside the residence suffering from a gunshot wound; she was unconscious and not breathing. Justice of the Peace Claudia Brown pronounced the victim deceased at 10:34 a.m. She ordered an autopsy to be performed at the Southwestern Institute of Forensic Sciences in Dallas. The preliminary information that was received by officers revealed that a family member went by to visit the victim at her residence. The family member entered the apartment and found that the victim had been shot and immediately called 911. Detectives are asking anyone who has information about this Homicide, to contact Crime Stoppers at 254-526-TIPS (8477) or go online at www.bellcountycrimestoppers.com. You can also download the P3Tips App for IOS and Android and give an anonymous tip. All information given is anonymous and confidential, and if your tip leads to the arrest of the person responsible for this Homicide, you could be eligible for reward up to $1,000 in cash. Killeen Police investigate a Homicide on Bacon Ranch Road. Officers were dispatched to the 1100 block of Bacon Ranch Road at 9:45 a.m. on Saturday, August 19, 2017, after receiving a 911 call in reference to a gunshot victim. Upon the officers’ arrival they located a 29 year-old female inside the residence suffering from a gunshot wound; she was unconscious and not breathing. Justice of the Peace Claudia Brown pronounced the victim deceased at 10:34 a.m. She ordered an autopsy to be performed at the Southwestern Institute of Forensic Sciences in Dallas. The victim’s name has been withheld pending the notification of her next of kin. The Criminal Investigation Division, Homicide Unit, continue to investigate this Homicide and information will be released as it becomes available. 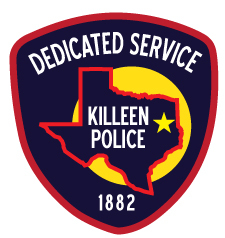 Detectives with The Killeen Police Department began an investigation into a string of Aggravated Robberies that occurred between August 4, 2017 and August 7, 2017 at two local Killeen 7-11 convenience stores. The suspects entered the stores on both occasions armed with a firearm and demanded cash and property. Investigation led to the identification of 20 year-old Adrian Torres of Killeen. The Bell County District Attorney reviewed both cases and issued criminal complaints against Torres for two (2) counts of Aggravated Robbery with a Firearm. Justice of the Peace Bill Cooke issued two (2) warrants for these offenses. On Thursday, August 10, 2017 detectives apprehended Torres without incident; he is currently in the Killeen City Jail. Justice of the Peace Bill Cooke arraigned Torres on Friday, August 11, 2017 and set his bond at $200,000. Jo Ann Wilbert waived extradition hearings in Florida and was transported to the Bell County Jail on August 9, 2017. She is currently held in the Bell County Jail on a $1,000,000.00 bond for the Capital Murder charge.